Happy October! 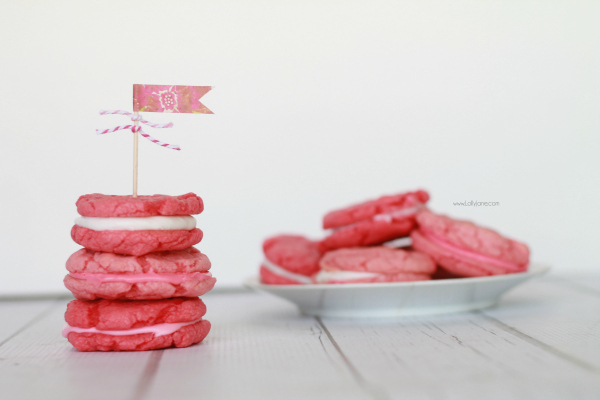 Since it’s Breast Cancer Awareness month, we thought we’d share some Pink Whoopie Pie Cookies today. They’re easy cookies to make since they start out as a cake mix. The frosting is a breeze too since you can whip up your own or use a can. 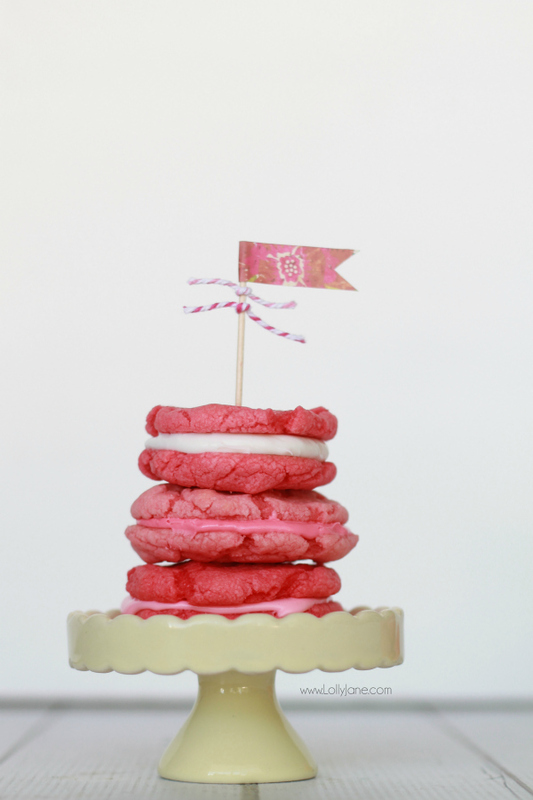 We’re all about easy at Lolly Jane and know most busy bakers are too! Combine all ingredients and mix with hand mixer or by hand until dough forms. Separate the dough into two bowls. In one bowl, add 5 drops of food coloring. Mix well. In the second bowl, add 8 drops of food coloring. Mix well. Drop 2″ balls of dough onto cookie sheet, you’ll have 12 balls per sheet. Bake at 350 degrees for 6 minutes, pull out sheet and let cool on sheet. Separate frosting into 3 bowls. Bowl one: add a scoop of vanilla which is the white frosting. Bowl two: add 2 drops of food coloring, mix well. Bowl three: add 5 drops of food coloring, mix well. When cookie are cooled, add a spoonful of filling between 2 cookies to create a “pie”. 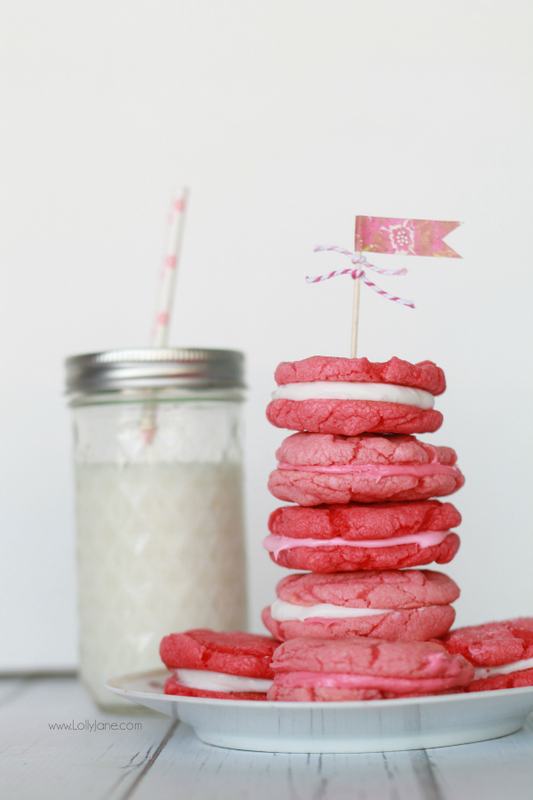 Although we’re mostly known for our DIY projects, we have some yummy food on our site too! Follow along with us on our blog, Pinterest, Instagram or Facebook to see what other goodies we’re constantly coming up with.